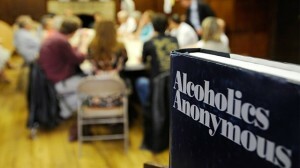 Alcoholics Anonymous (AA) is an international mutual aid fellowship founded in 1935. AA states that its primary purpose is to help alcoholics "to stay sober and help other alcoholics achieve sobriety". Alcoholics Anonymous (AA) is an international mutual aid fellowship founded in 1935. AA states that its primary purpose is to help alcoholics “to stay sober and help other alcoholics achieve sobriety”.